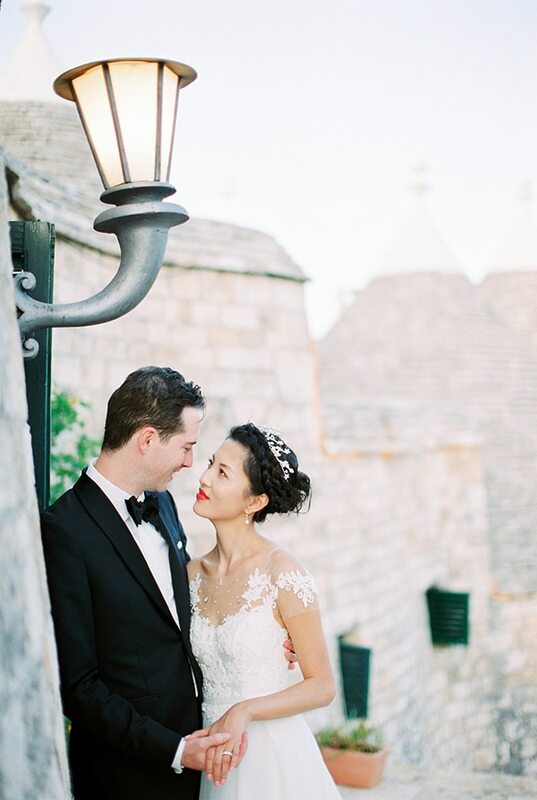 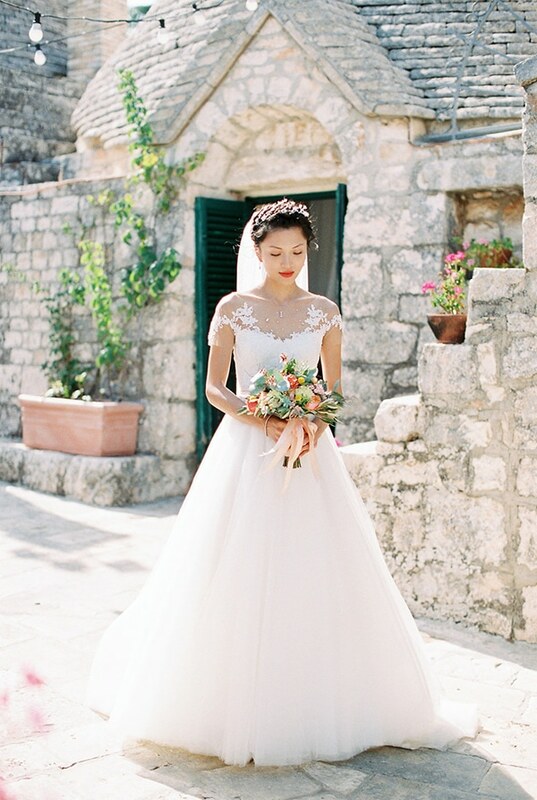 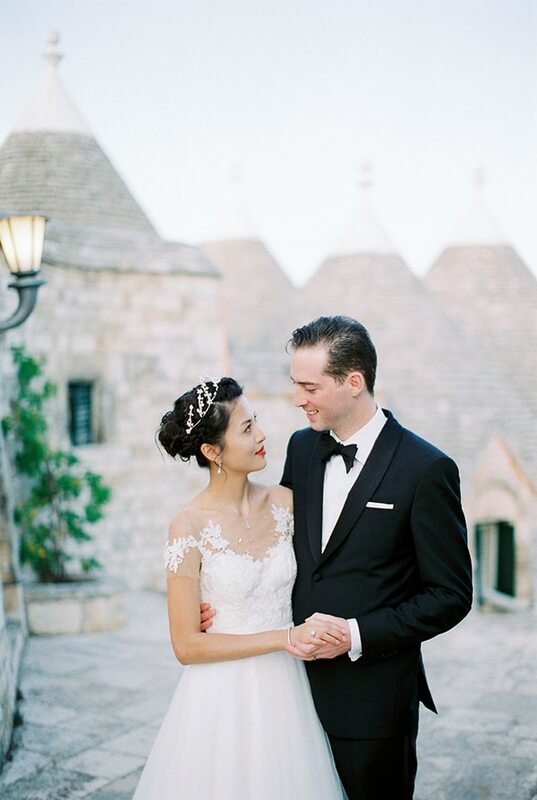 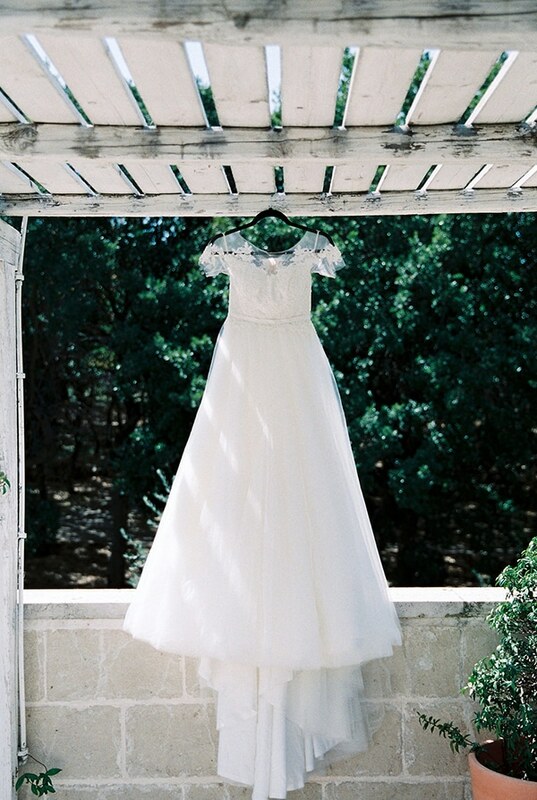 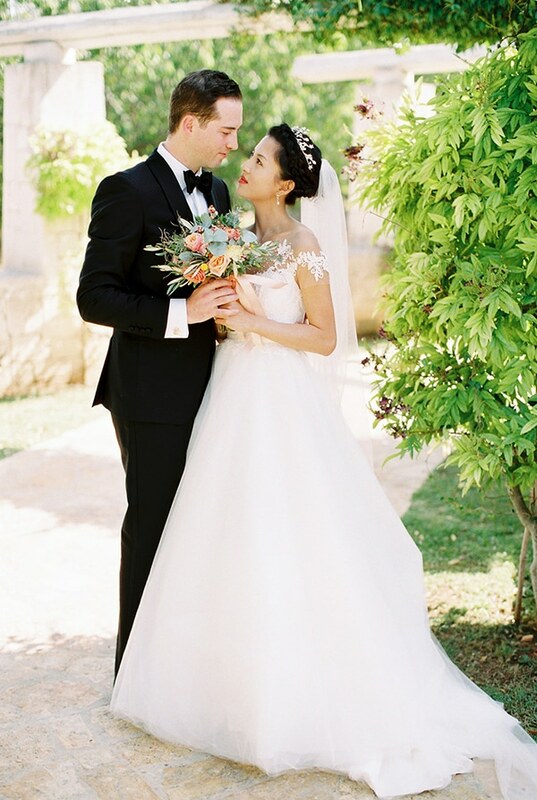 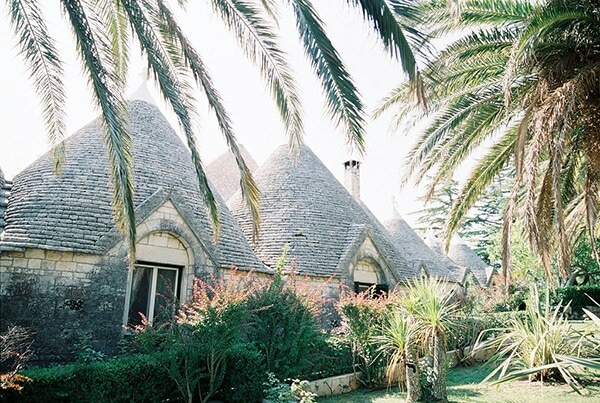 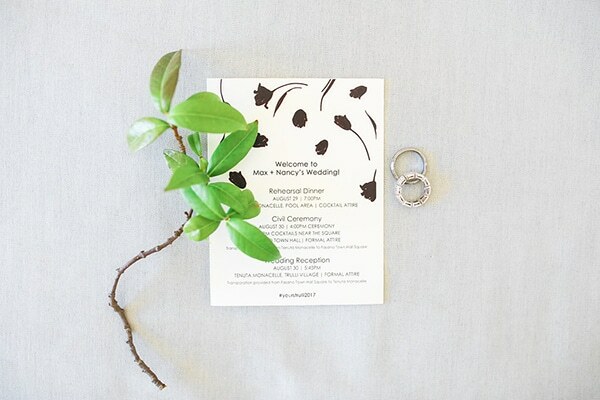 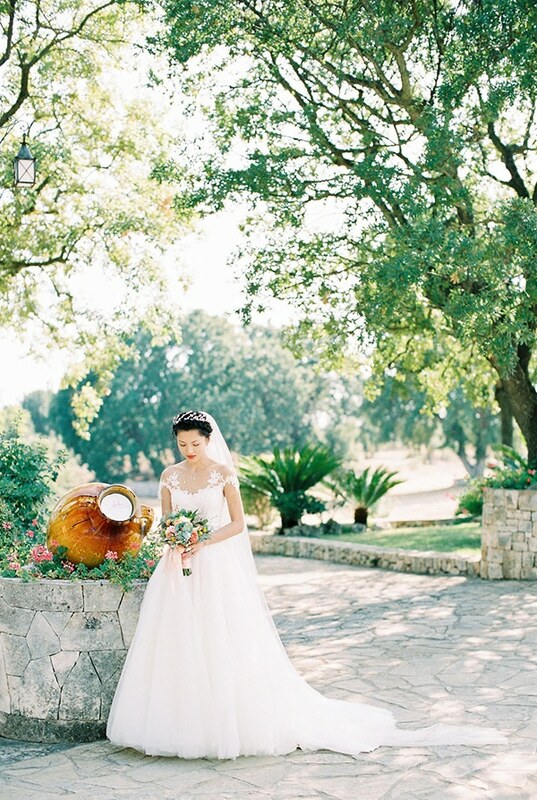 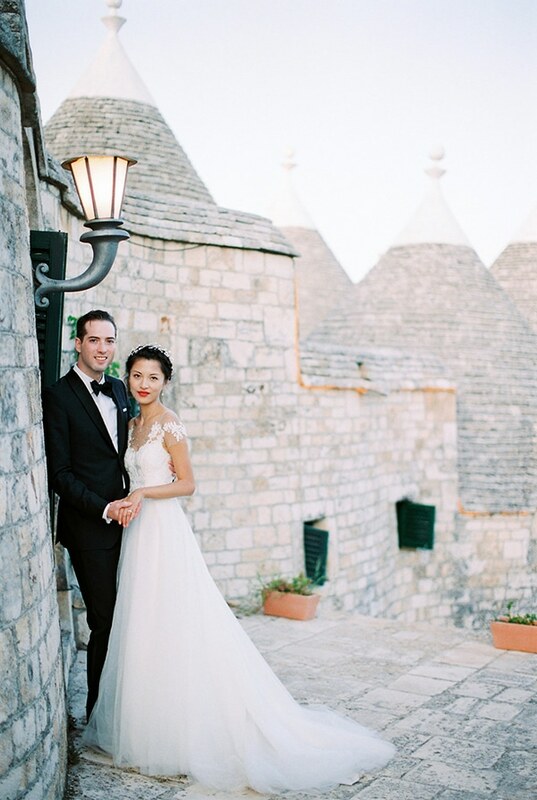 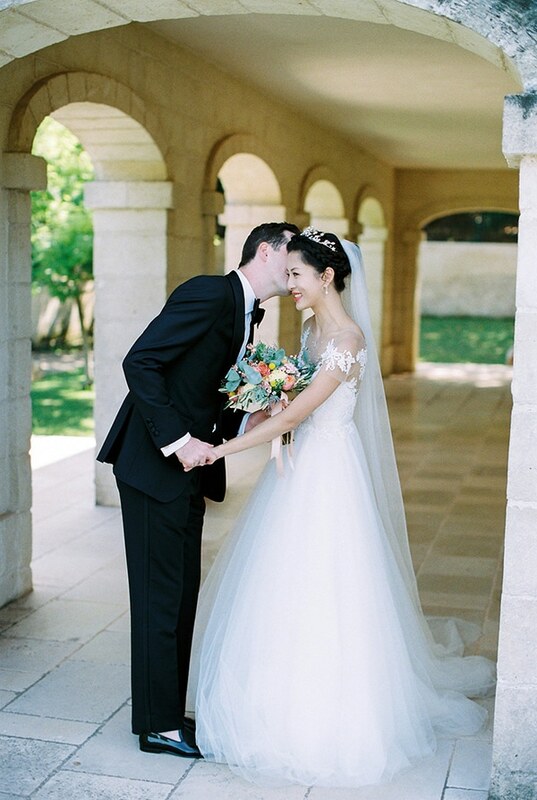 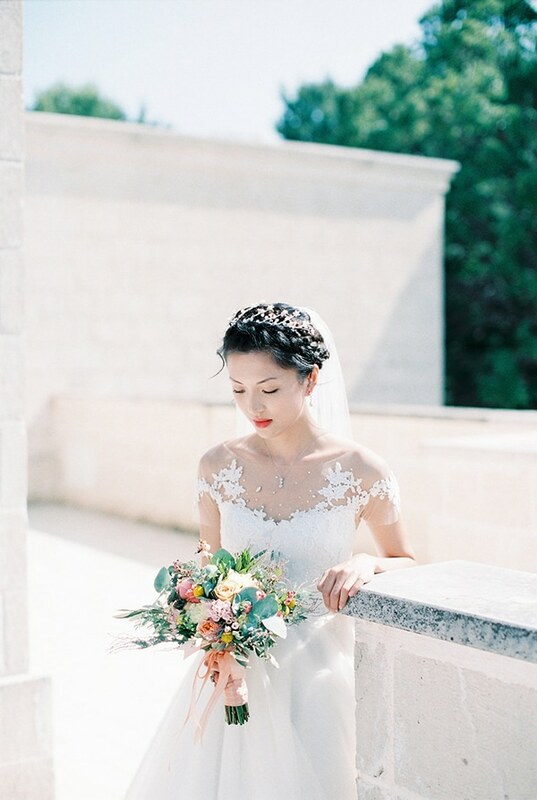 When Nancy first visited Puglia in Italy, she fell in love with the place, so she decided with her husband to create their gorgeous white and green wedding in this magical place… For their wedding they wanted something simple to let the natural beauty speak for itself, so they chose to keep the décor minimal with white and green hues. 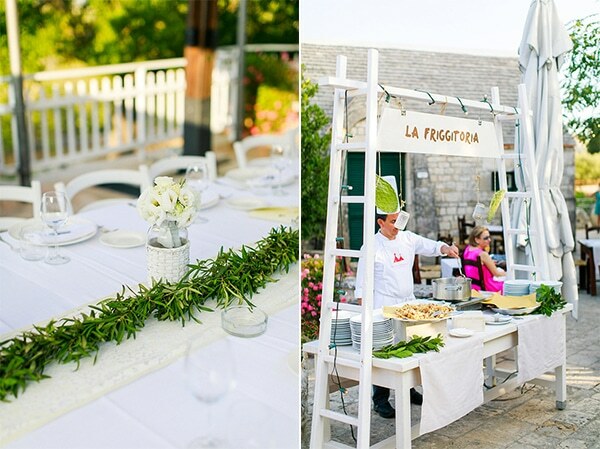 The gorgeous place was adorned with white tables, white details and a touch of vividness such as greenery garlands and white flower bouquets. 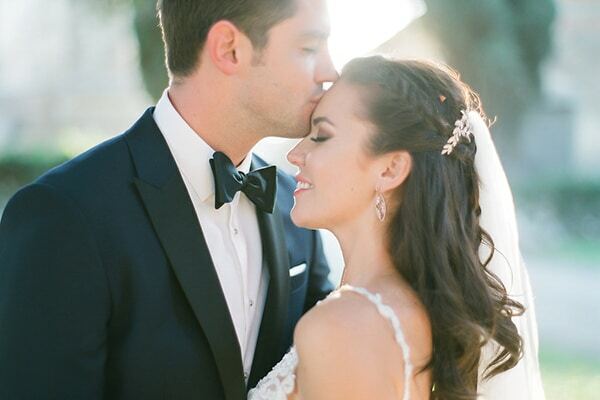 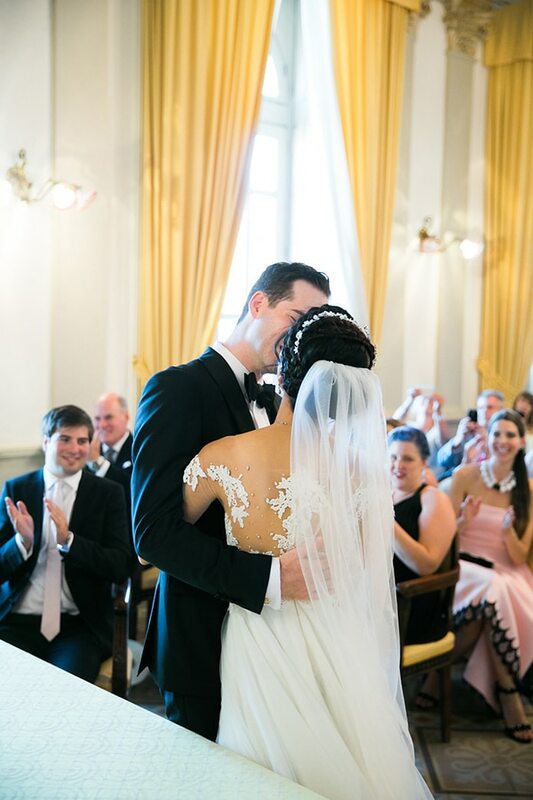 After the ceremony, the beautiful bride and the handsome groom celebrated their special day with their family and friends with a nice dinner and a beautiful party. 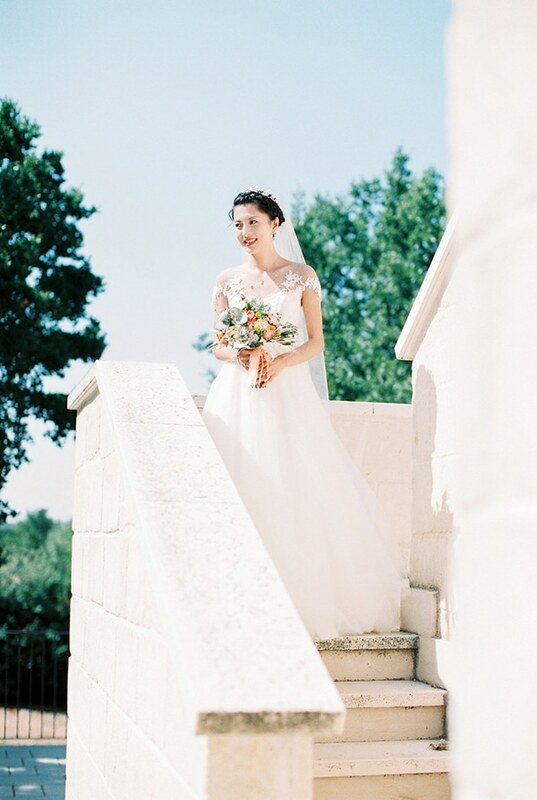 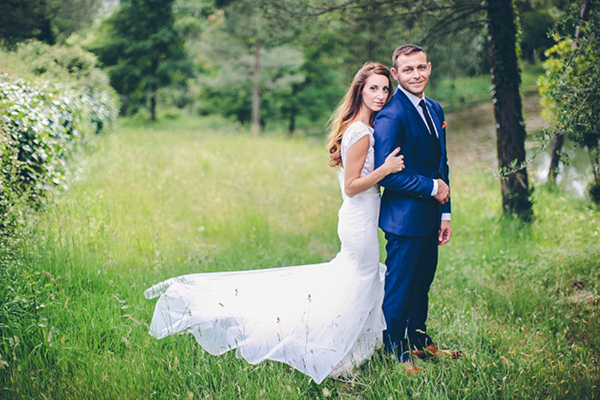 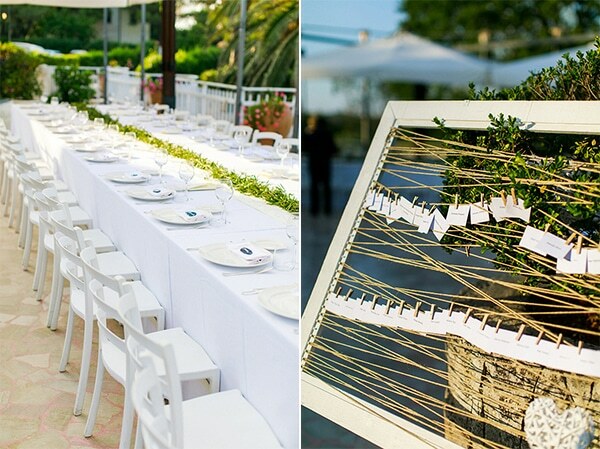 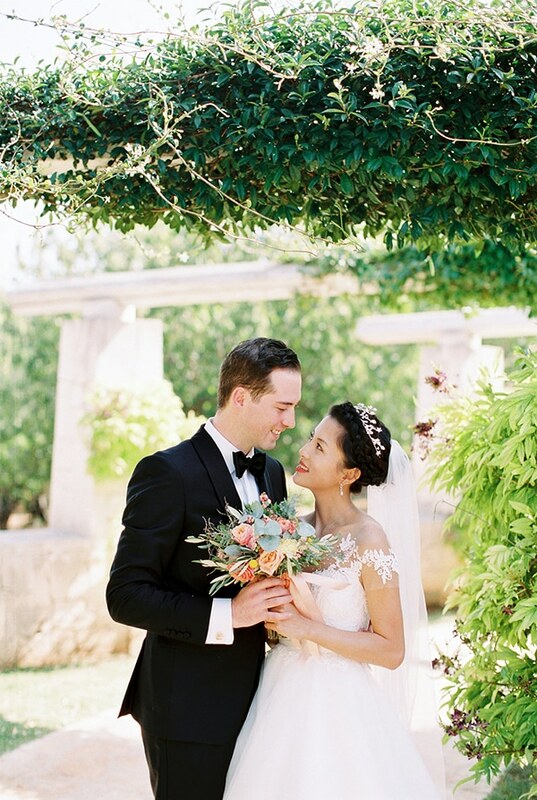 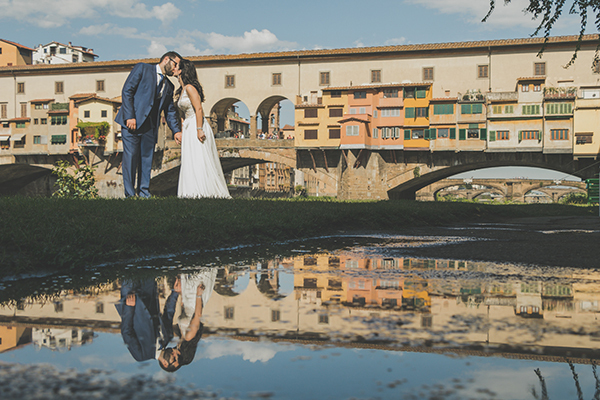 Enjoy every single moment of this wedding captured by Sotiris Tsakanikas! 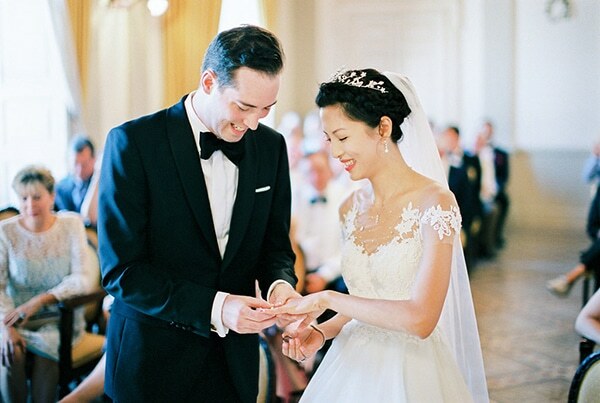 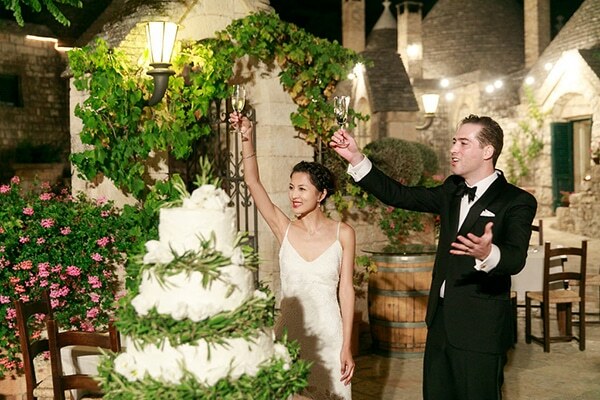 “We met in law school in Toronto, ON, Canada and he proposed at a little champagne bar in Shanghai. 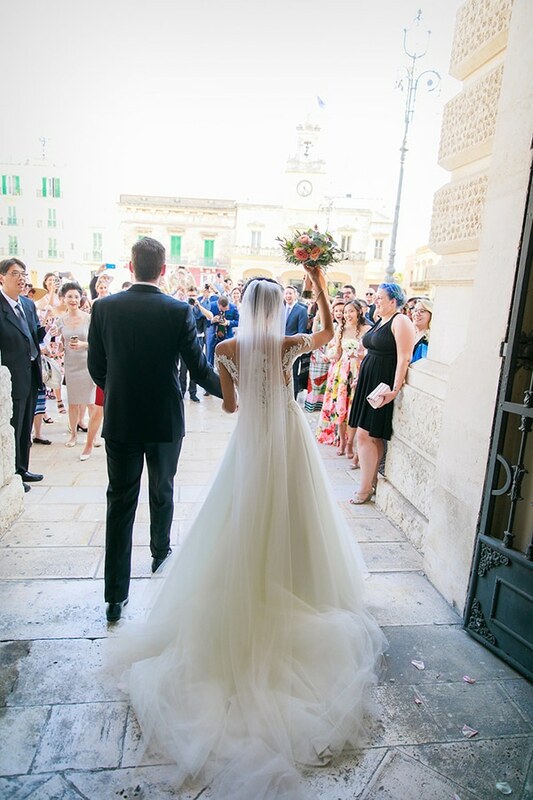 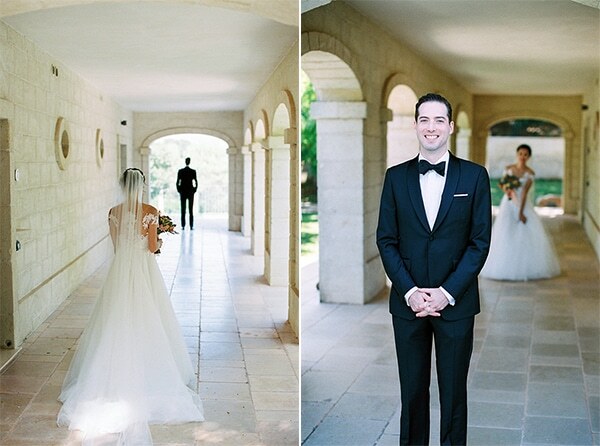 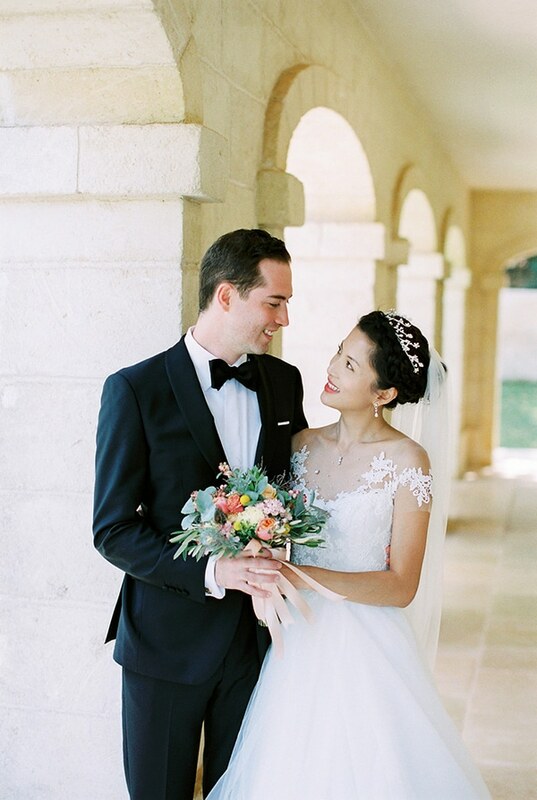 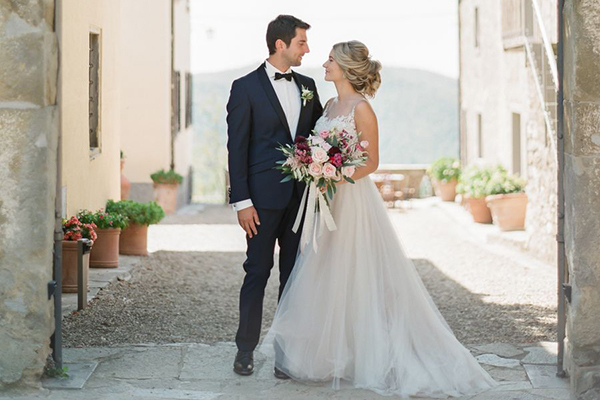 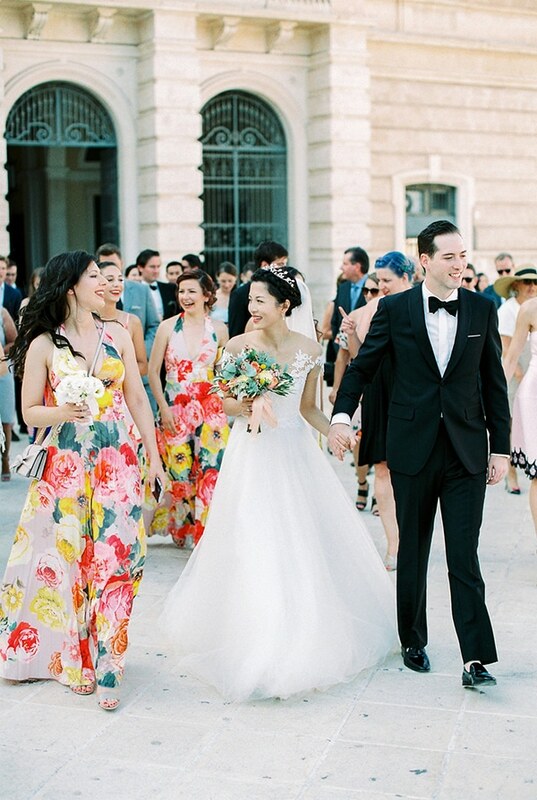 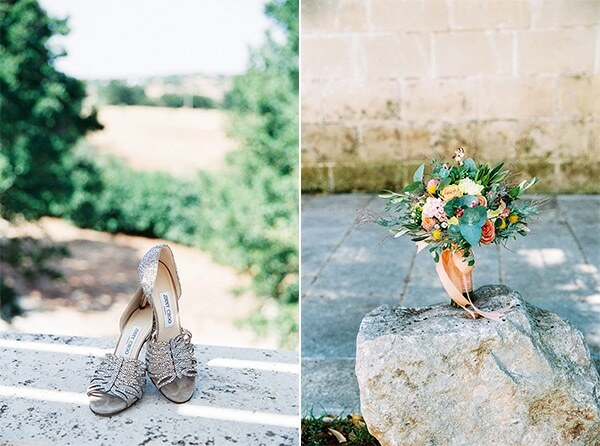 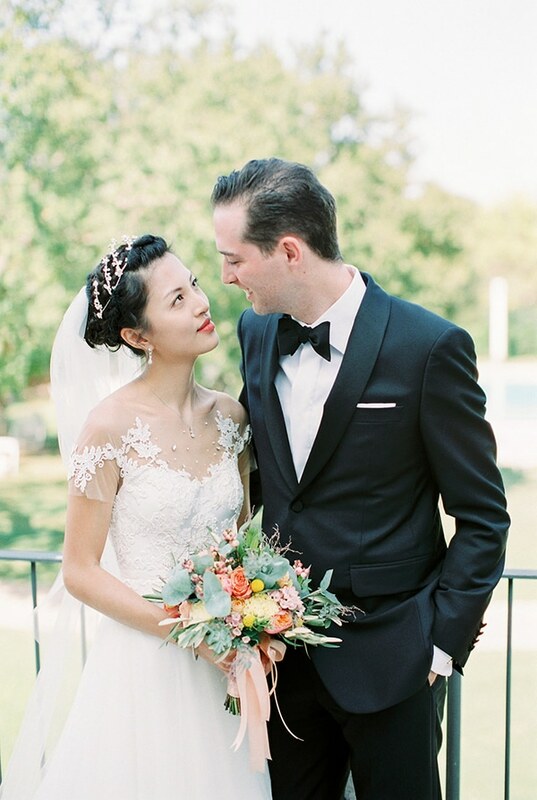 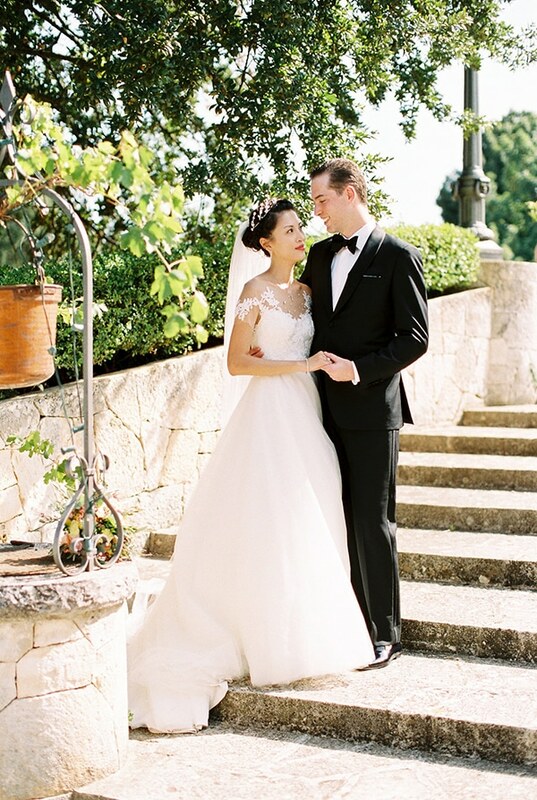 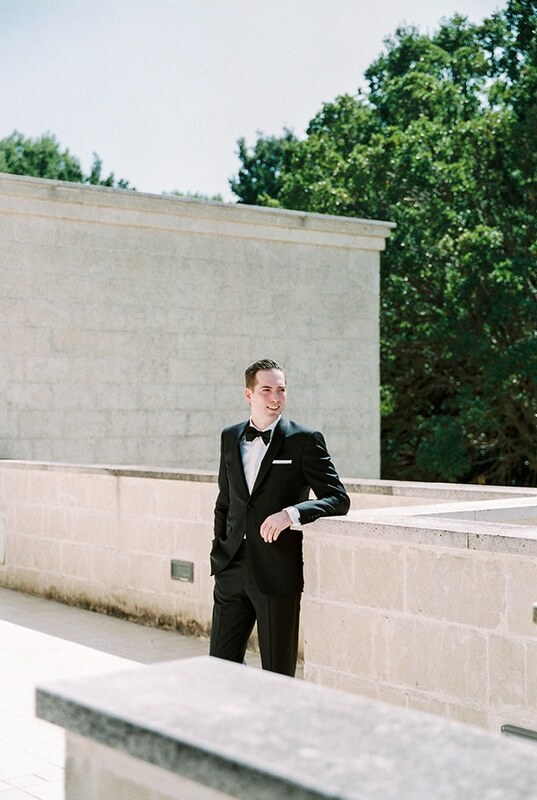 The ceremony took place in Fasano, Brindisi, Italy”, the bride shared with us.